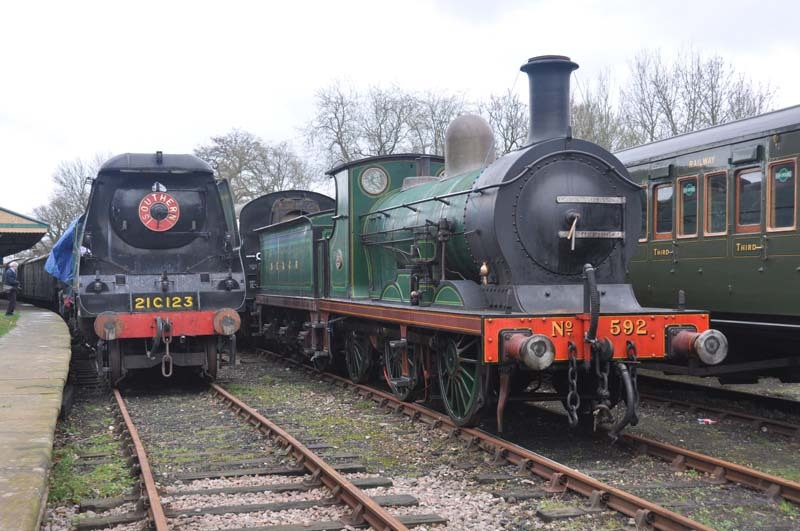 15th and 16th March 2019. 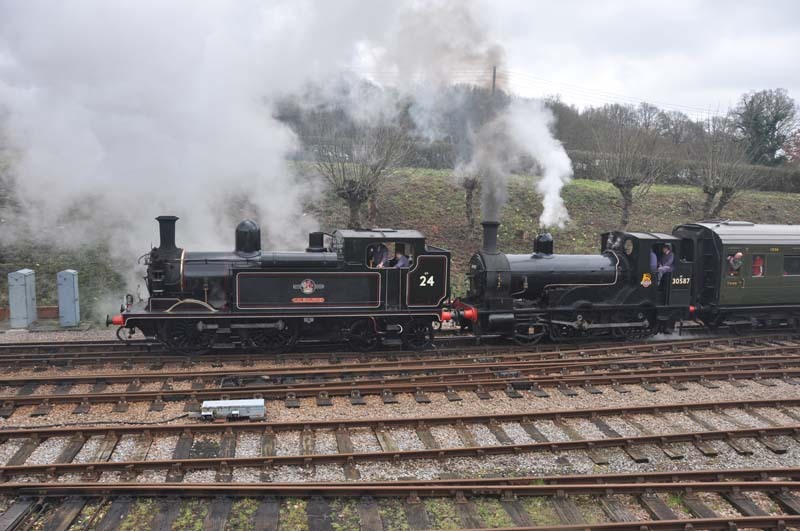 LSWR O2 class no.W24 approaching East Grinstead. 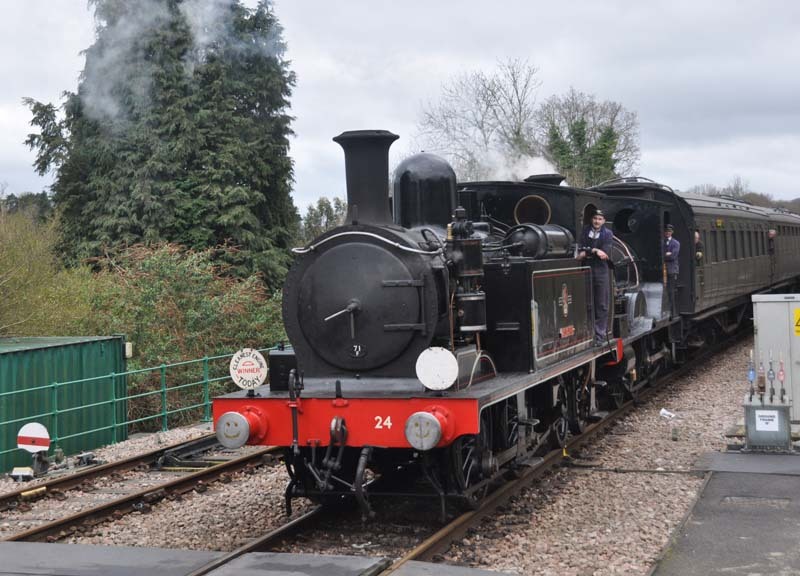 W24 arriving at East Grinstead. 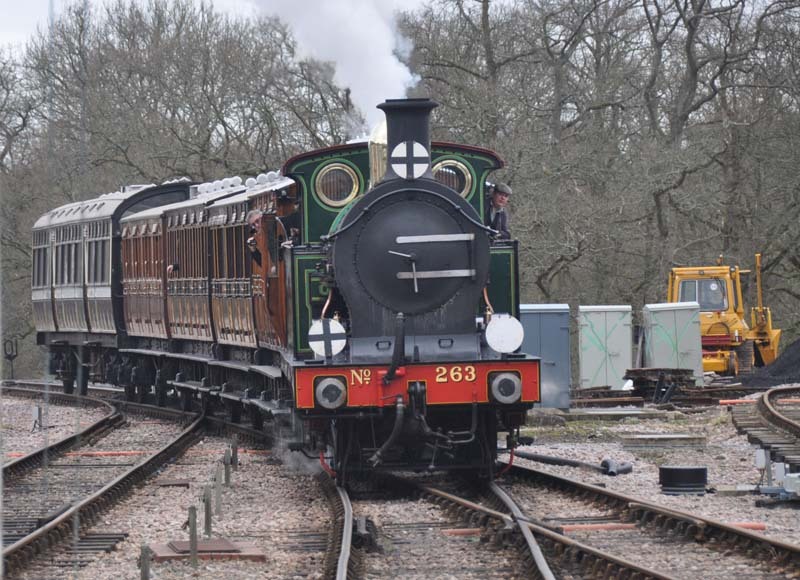 SECR H class no.263 approaching Horsted Keynes. 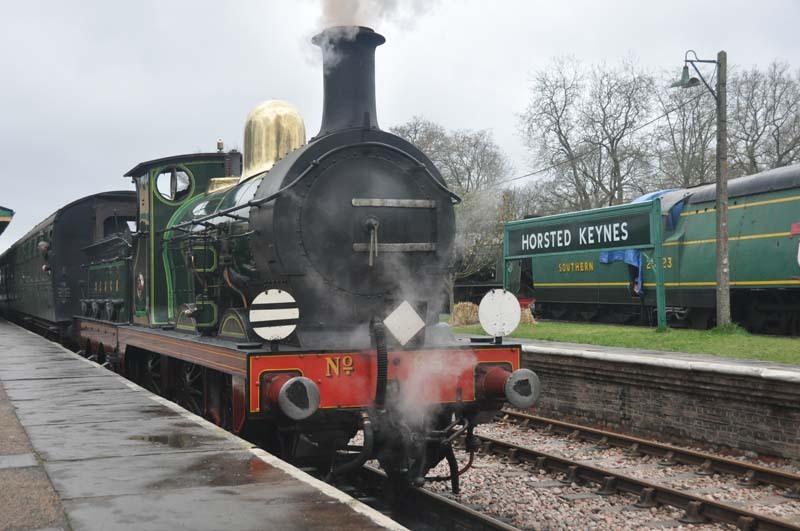 263 arriving at Horsted Keynes. 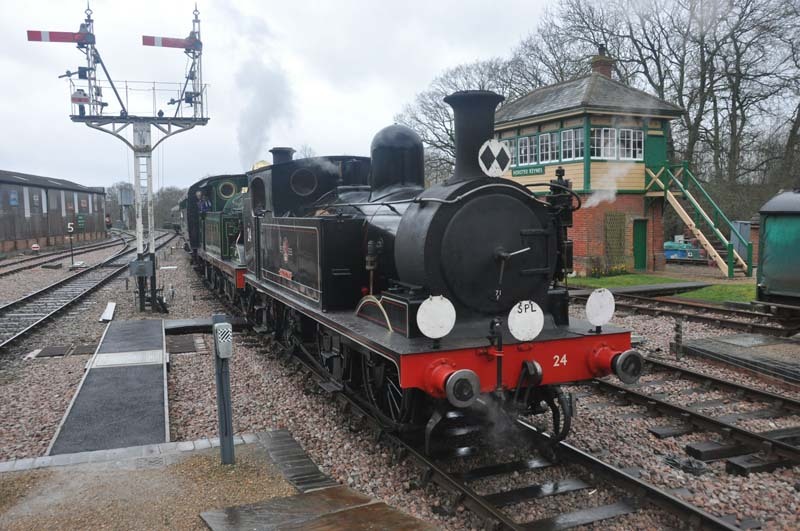 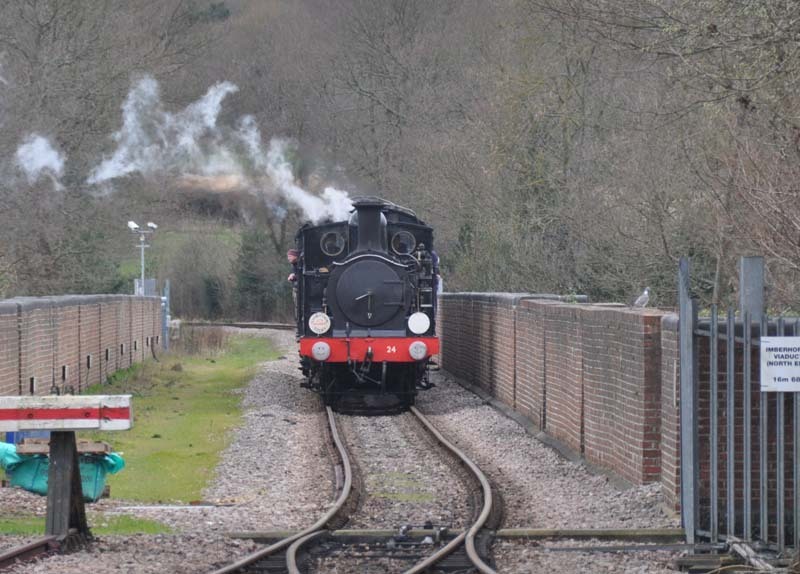 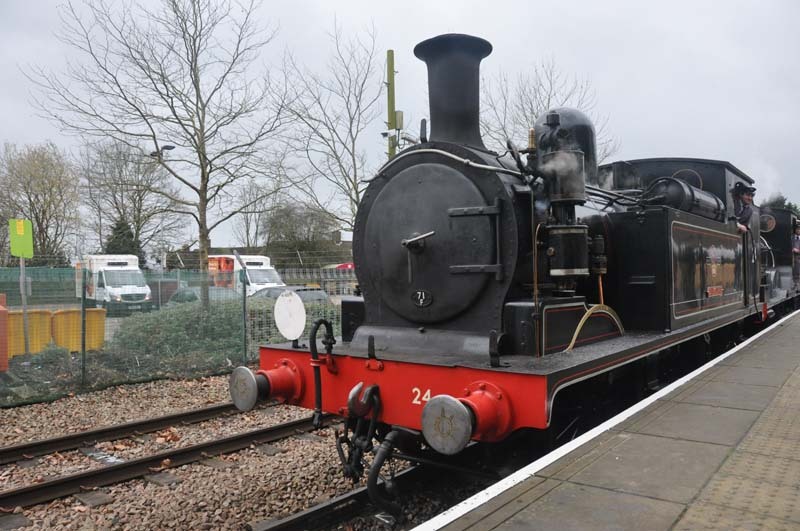 W24 departing from Horsted Keynes. 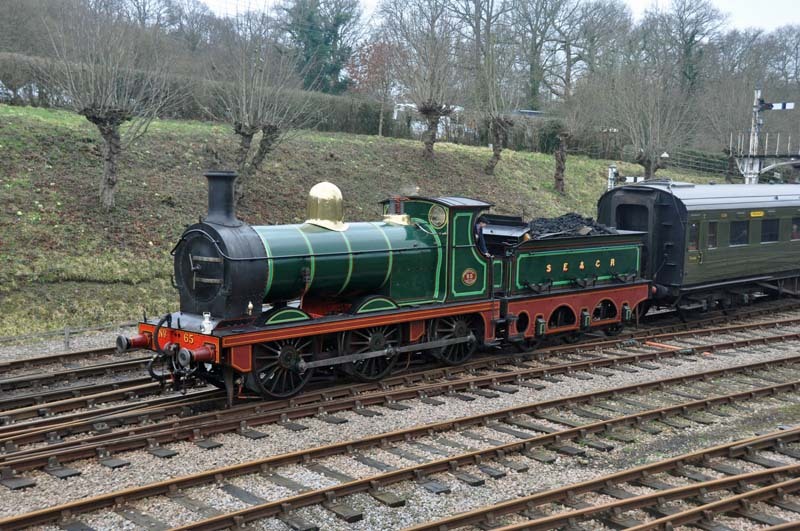 SR West Country class no.21C123 Blackmore Vale and SECR C class no.592 on display at Horsted Keynes. 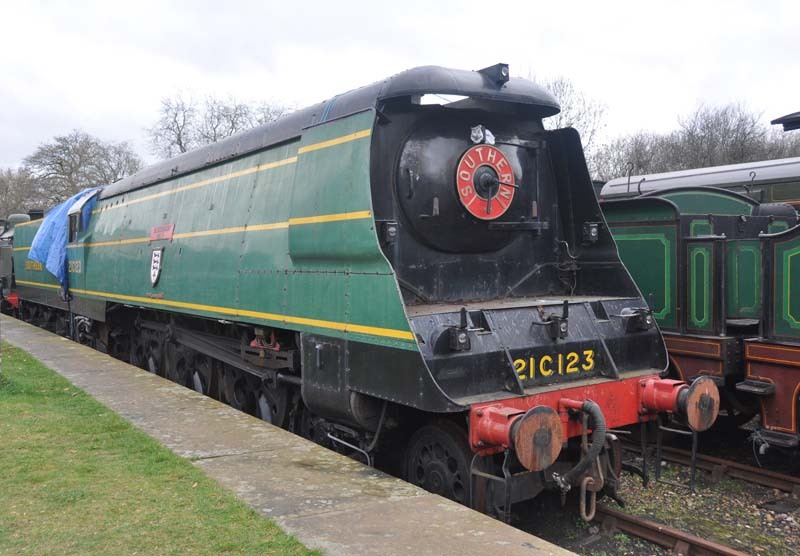 21C123 Blackmore Vale at Horsted Keynes. 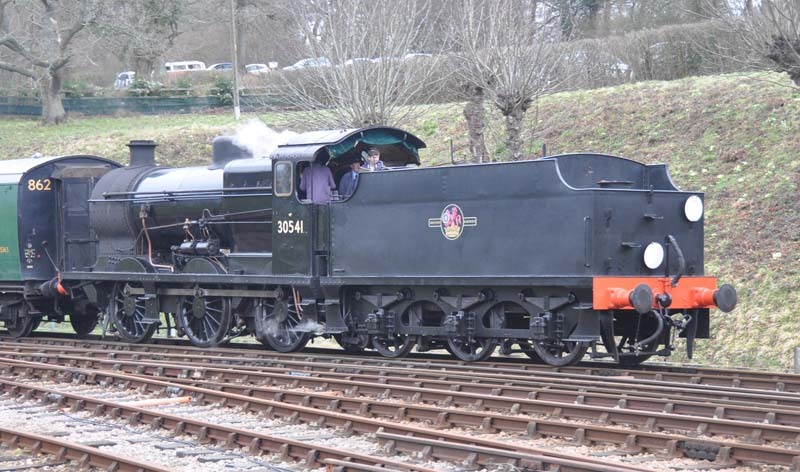 SR Q class no.30541 approaching Horsted Keynes. 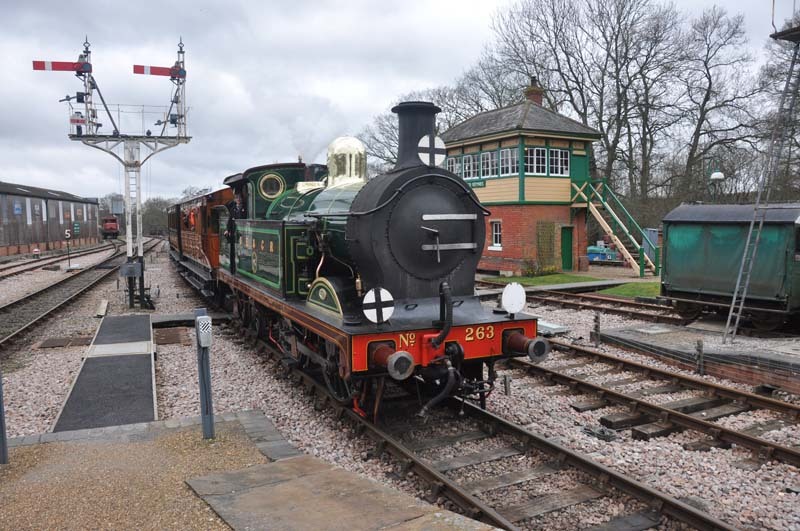 W24 and LSWR 0298 class Beattie Well Tank no.30587 waiting to depart from Horsted Keynes. 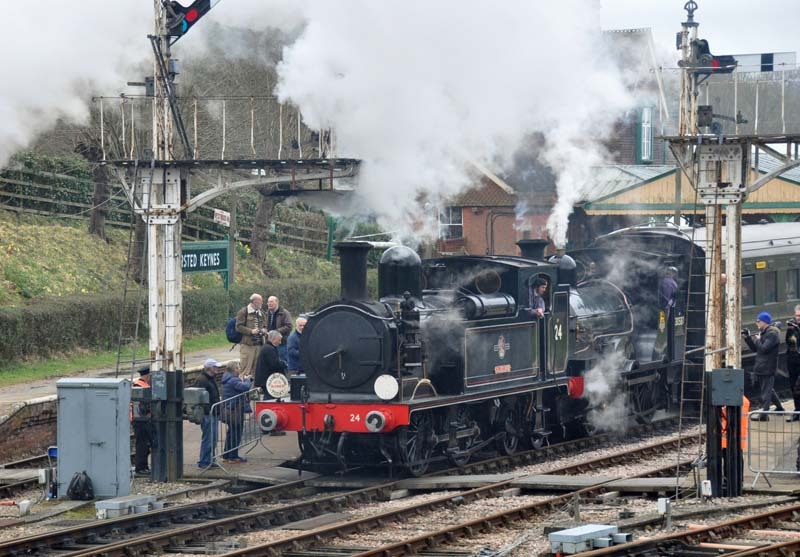 W24 and 30587 departing from Horsted Keynes. 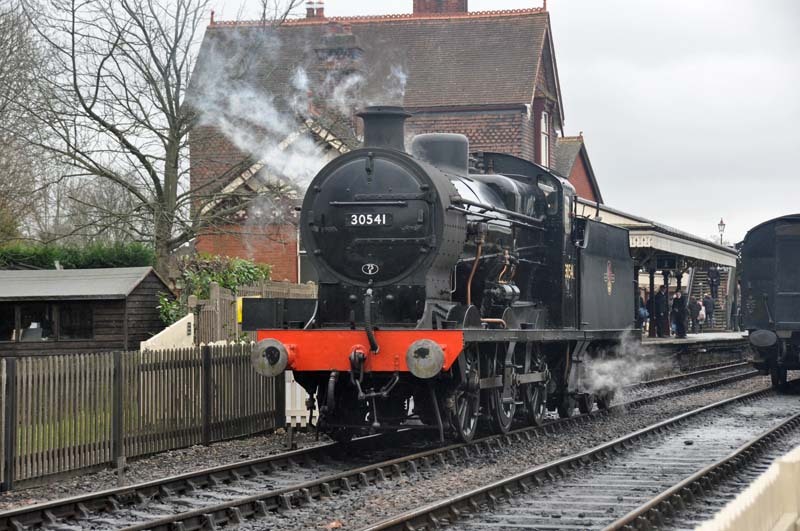 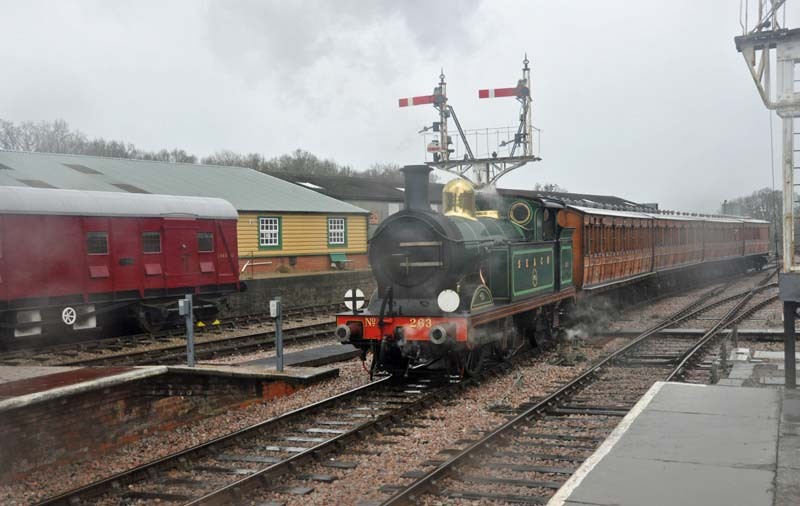 30541 departing from Horsted Keynes. 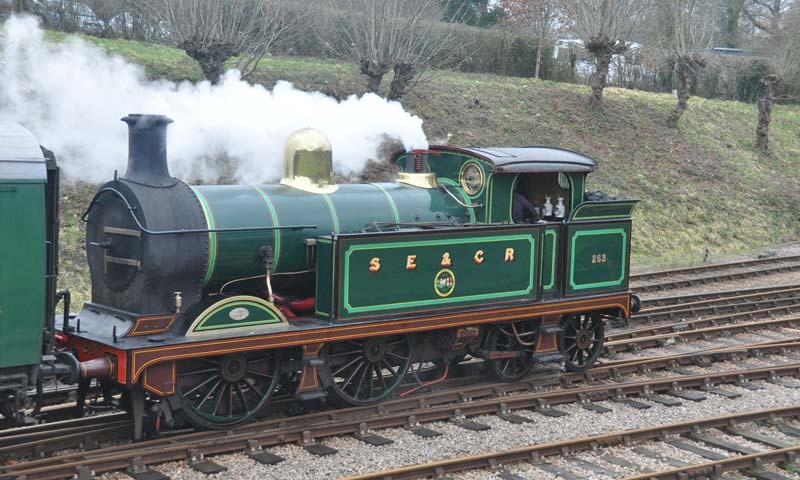 SECR P class no.178 in the loco yard at Sheffield Park. 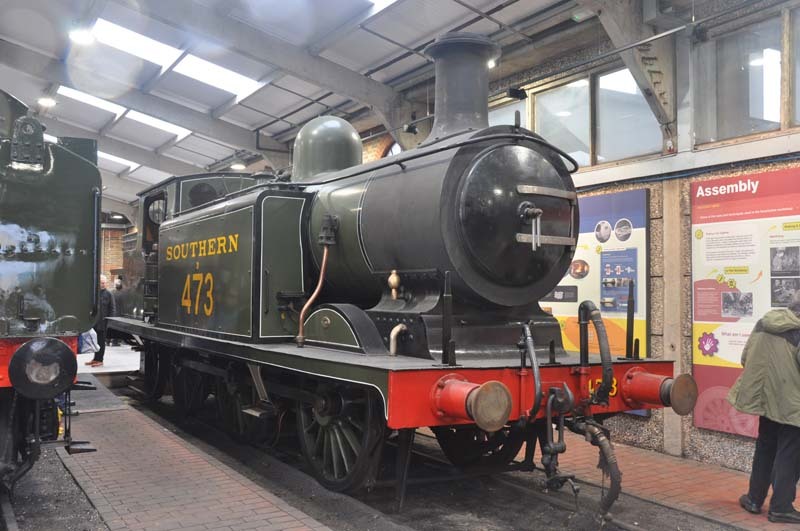 LBSC E4X class no.473 on display in the Steamworks part of the loco shed at Sheffield Park. 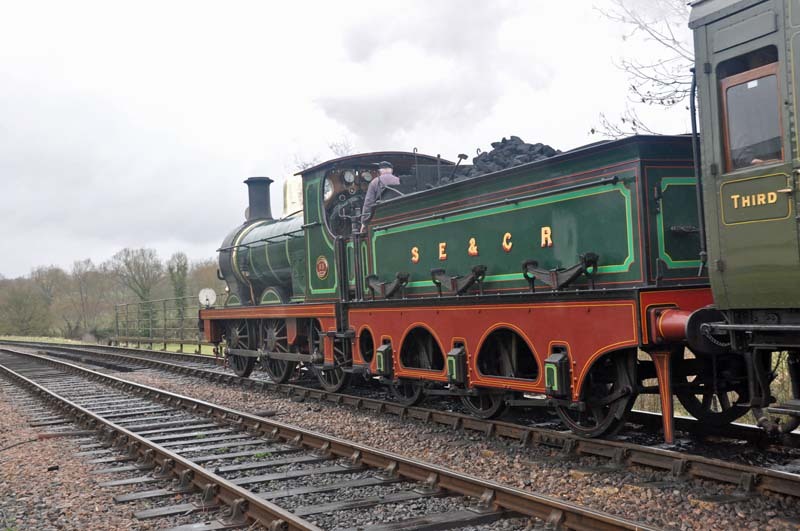 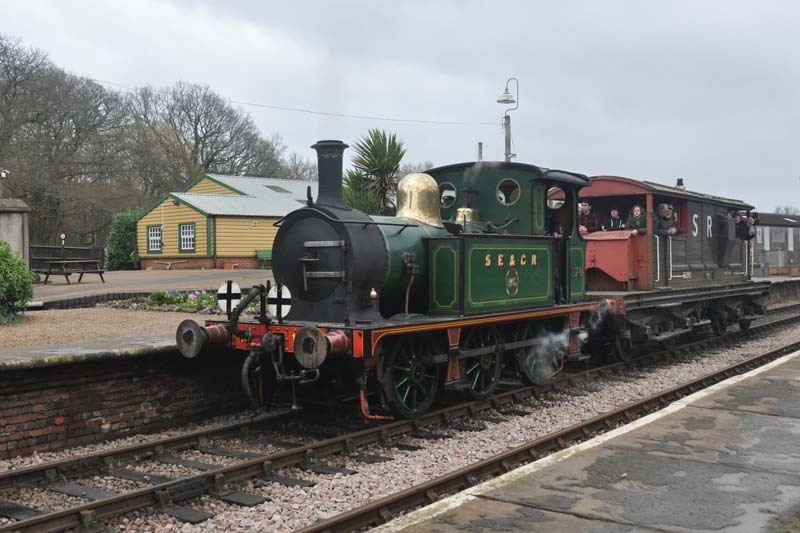 SECR O1 class no.65 at Sheffield Park. 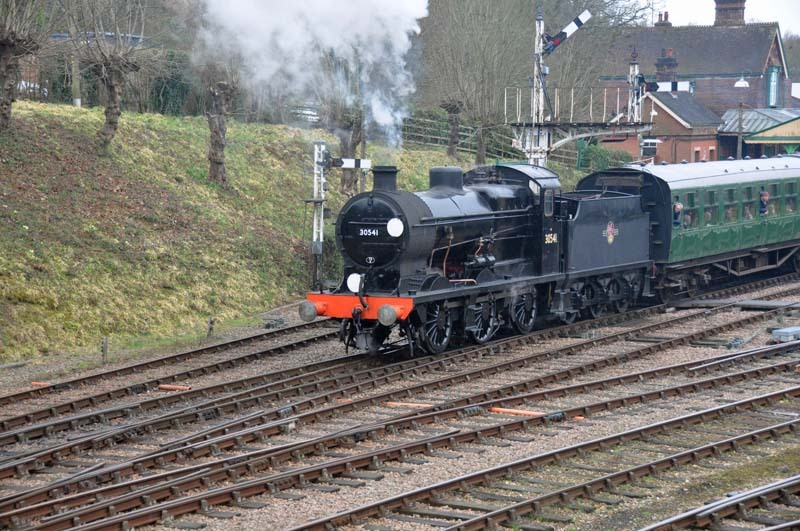 65 departing from Sheffield park. 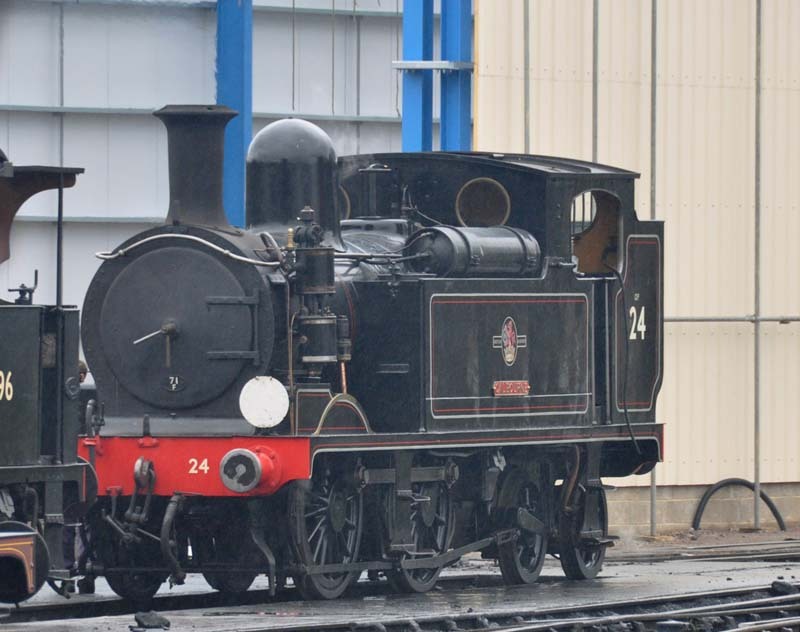 W24 in the loco yard at Sheffield Park. 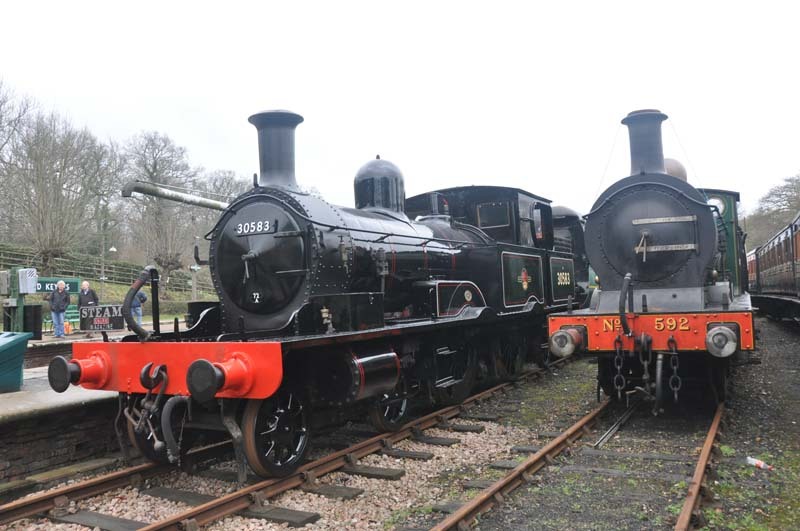 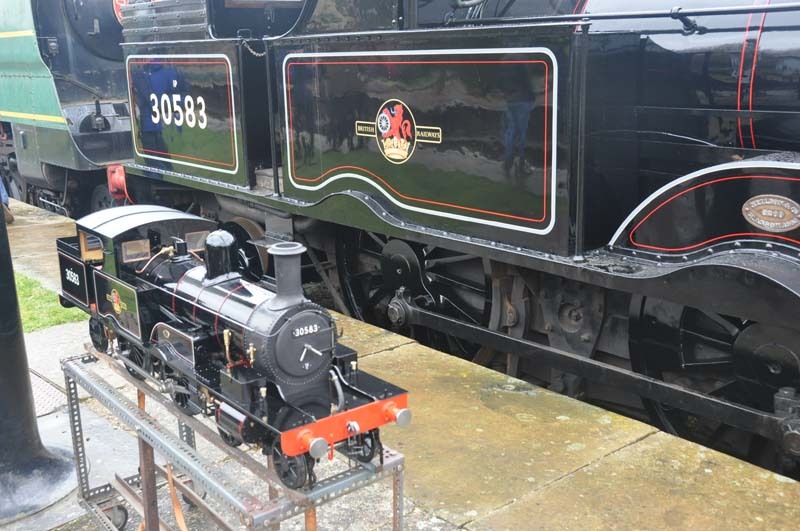 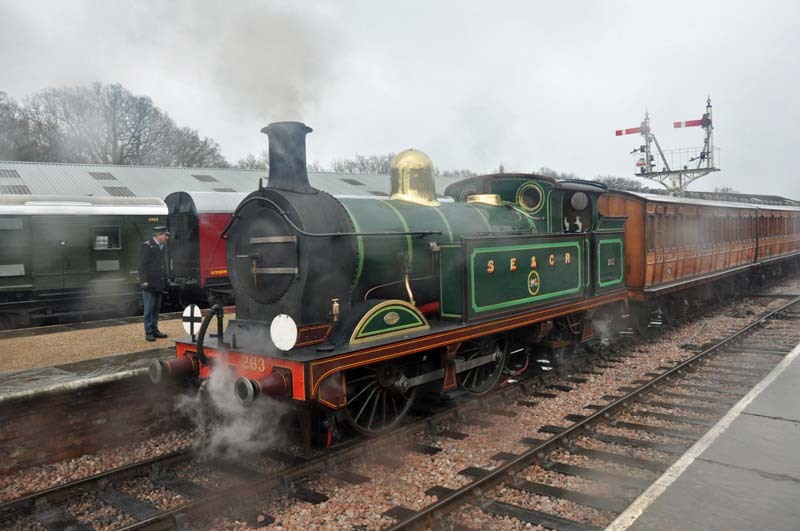 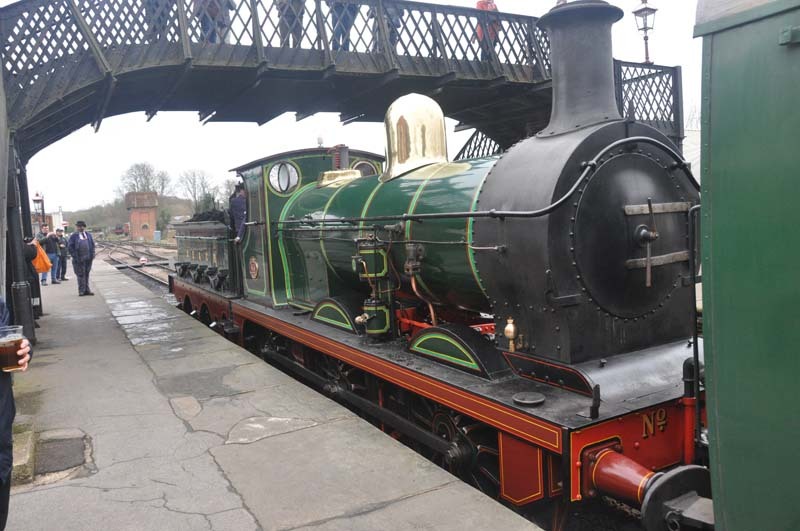 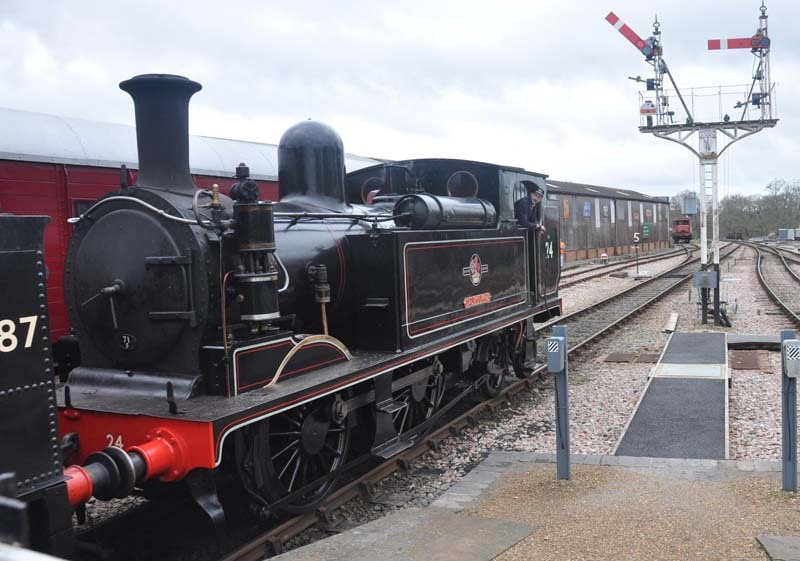 LSWR Adams Radial Tank no.30583 and 592 on display at Horsted Keynes. 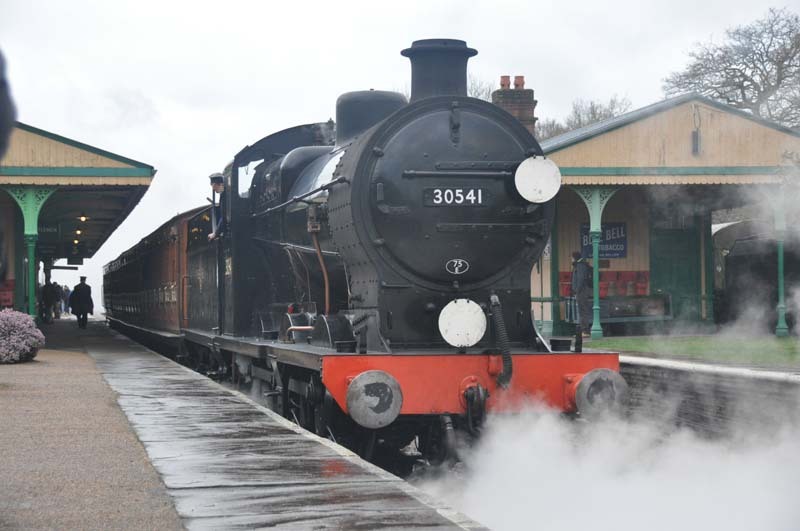 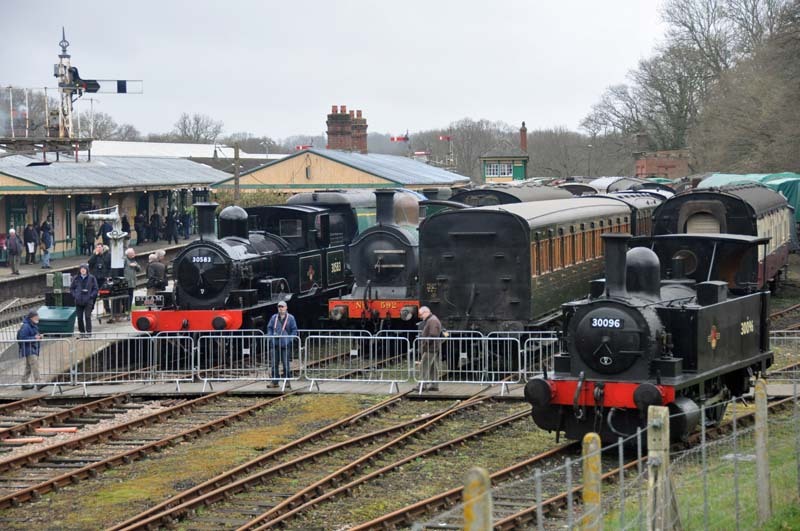 30583 and 30583 at Horsted Keynes. 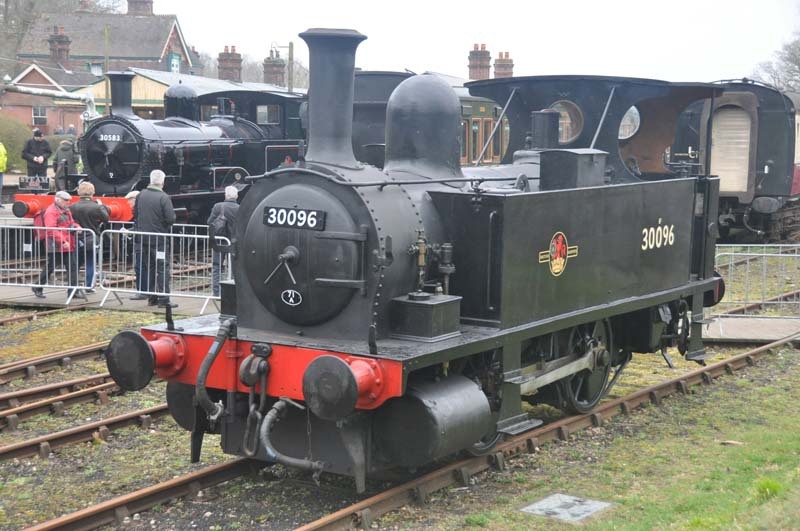 30583, 592 and LSWR B4 class no.30096 on display at Horsed Keynes. 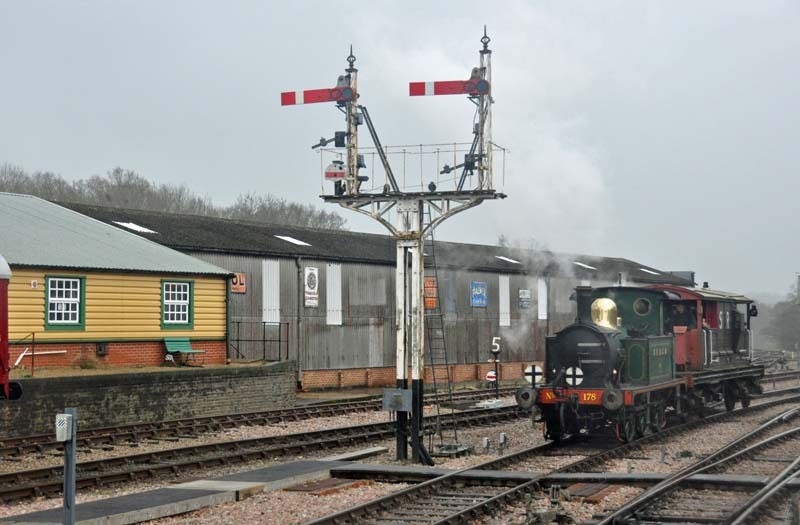 65 departing from Horsted Keynes. 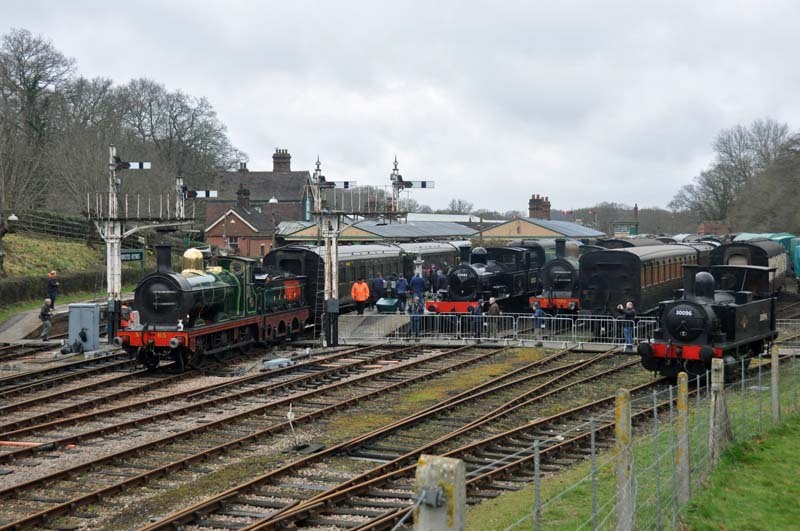 65, 30583, 592 and 30096 at Horsed Keynes. 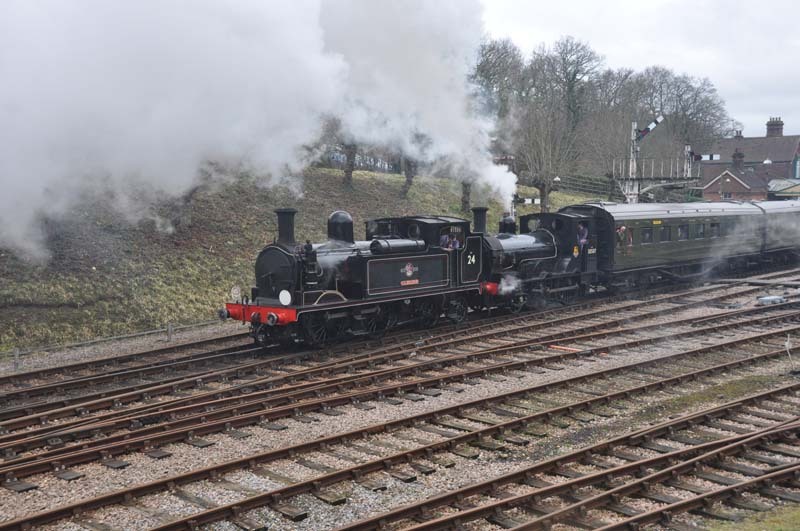 30583 and 30096 at Horsed Keynes. 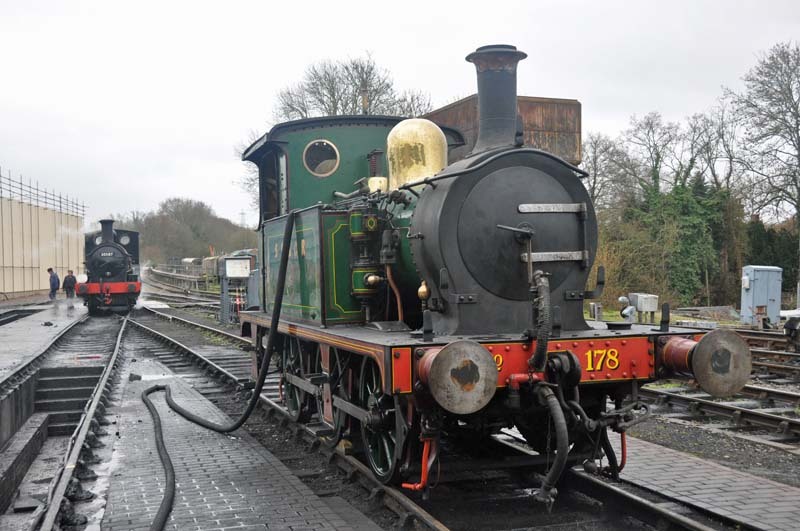 178 departing from Horsted Keynes. 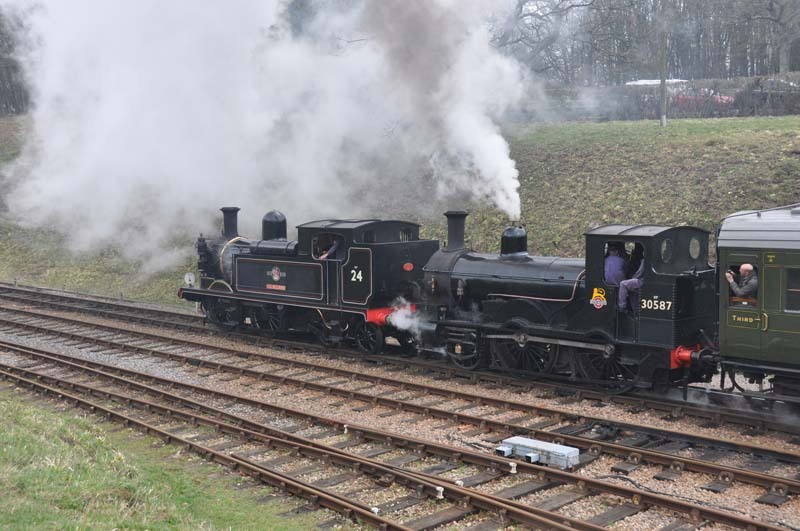 W24 and 263 arriving at Horsted Keynes. 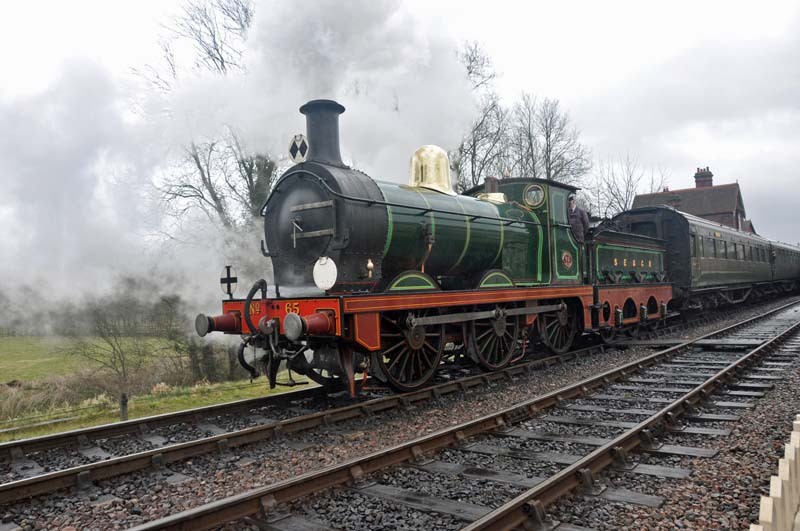 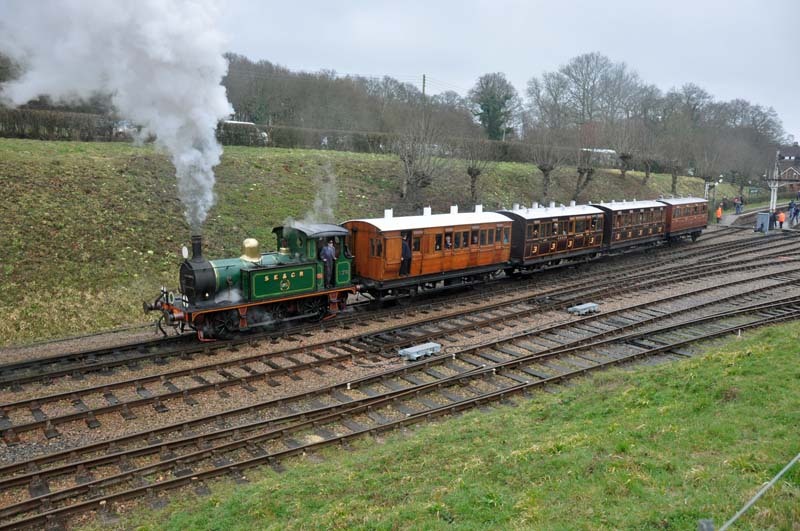 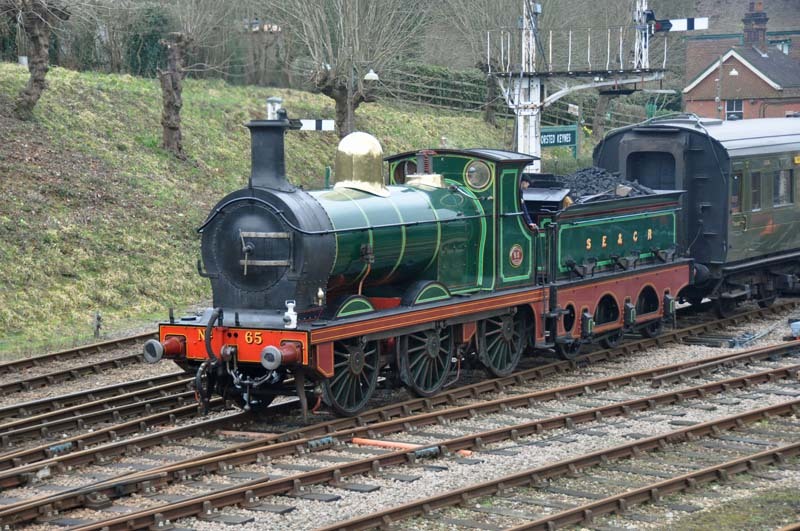 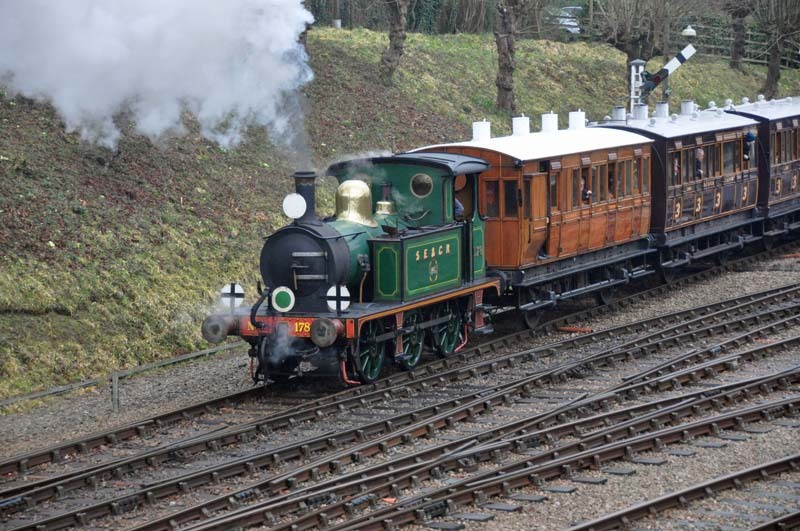 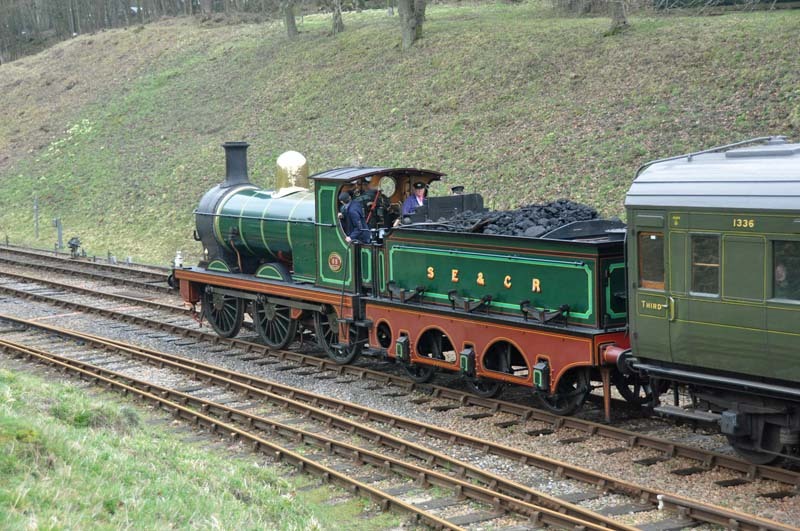 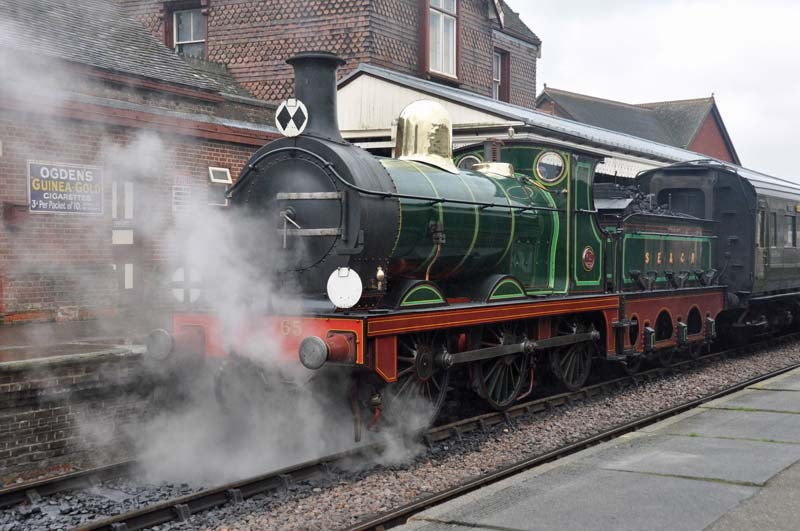 Back to the Bluebell Railway Page.